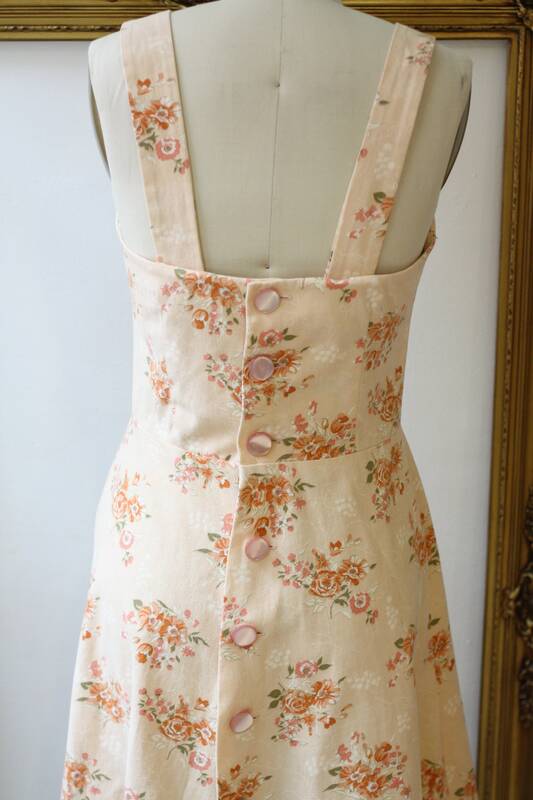 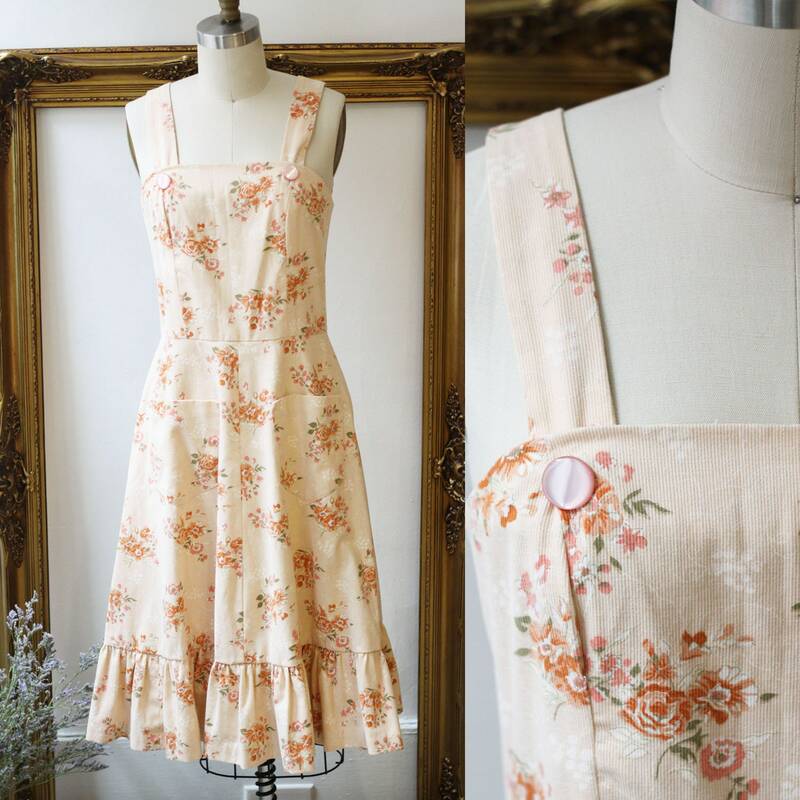 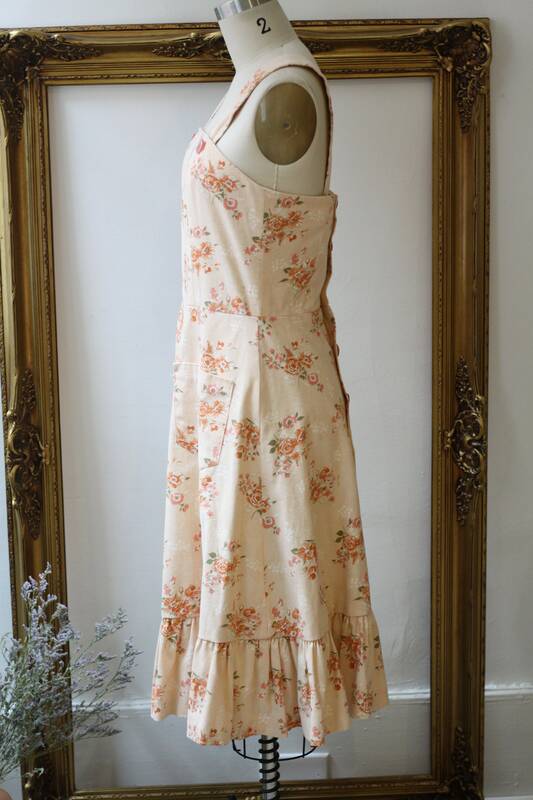 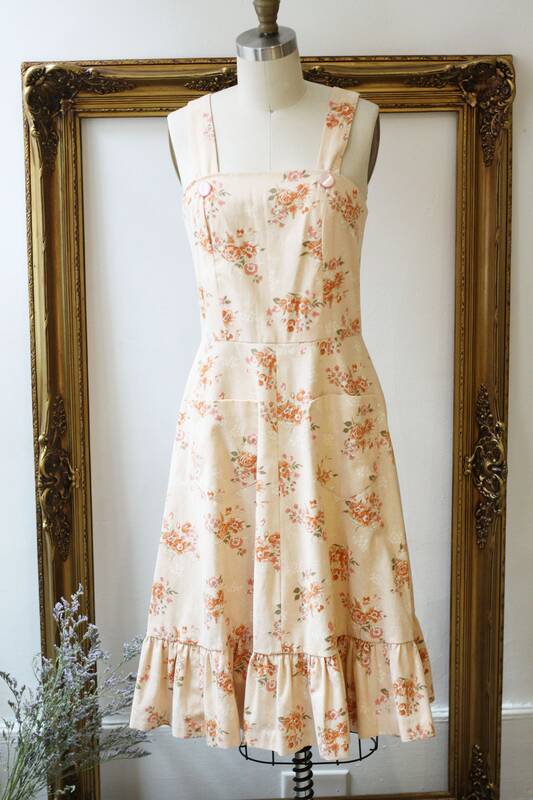 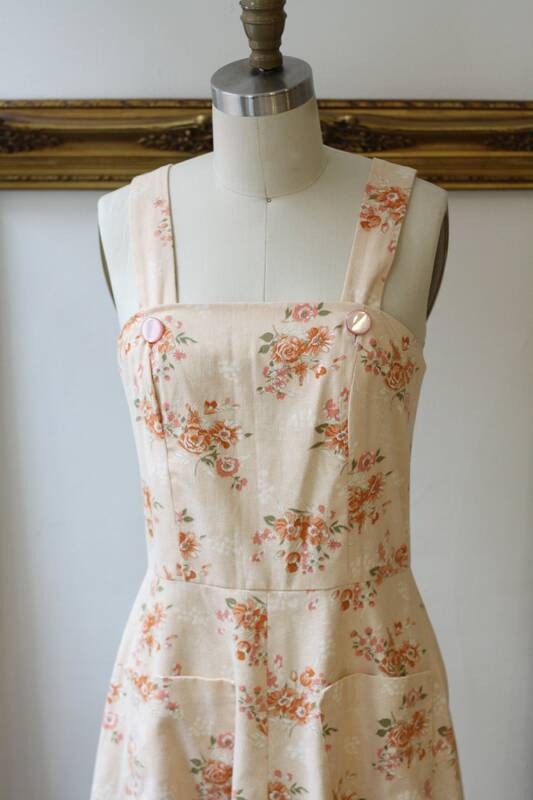 1970s soft peach and orange boho floral dress. 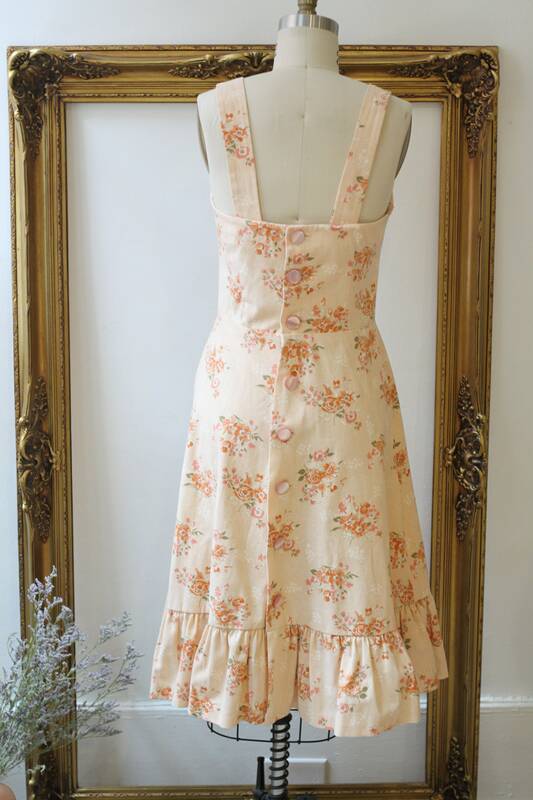 Soft corduroy material with some great details like the ruffle hem and the large button closures at the front of the dress. 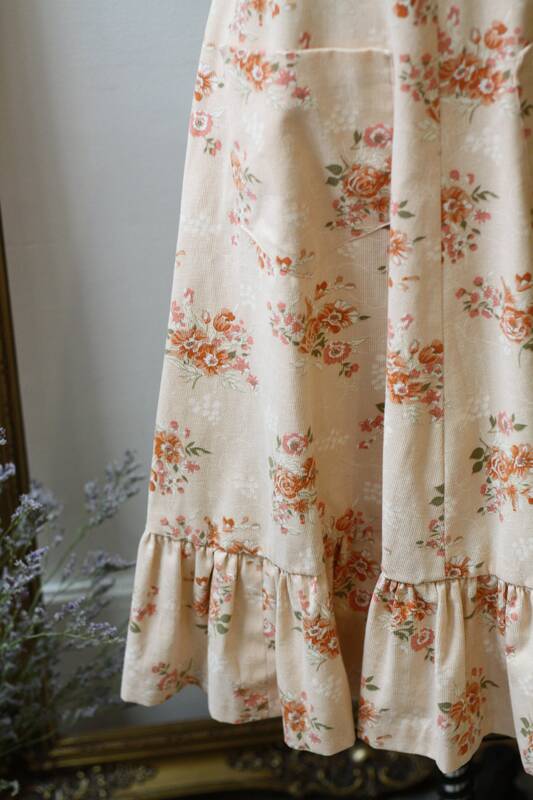 Two pockets on the front of the dress. 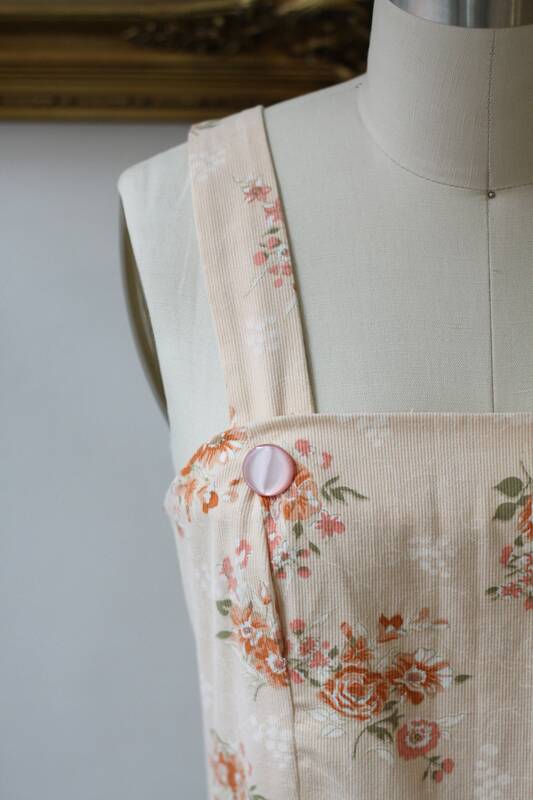 Large button closures running up the back of the dress.